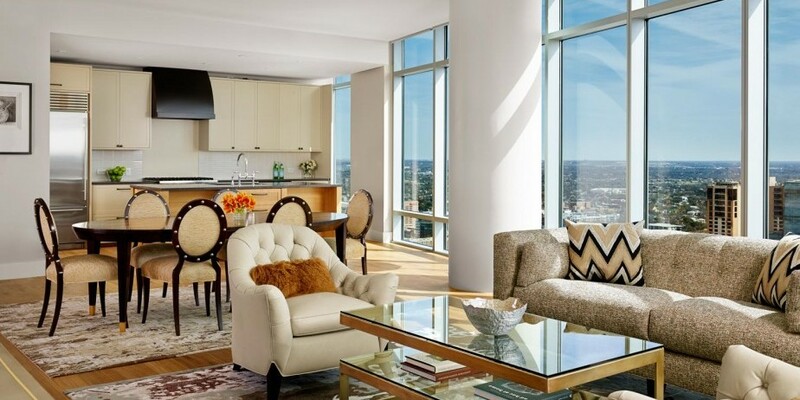 A sample selection of recently sold residences at The Austonian. 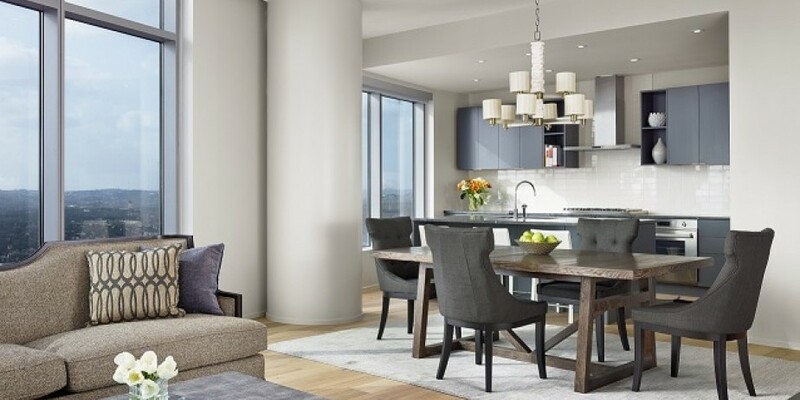 38NE is a custom-designed unit by GREER Interior Design and finished out by David Bravo & Associates with incredible city views. Wonderful sunsets, Texas Hill Country views and Lady Bird Lake views too. 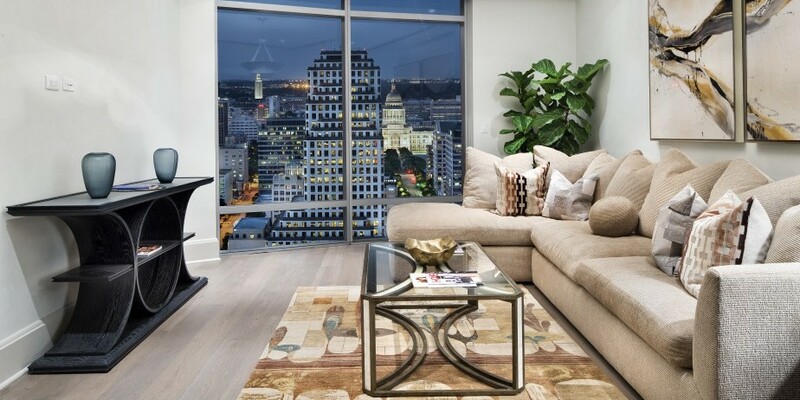 38SW is what downtown living in Austin is all about: efficient design, incredible finishes from GREER Interior Design, and views from every single room. Furniture and accessories by Sandy Senter Design. 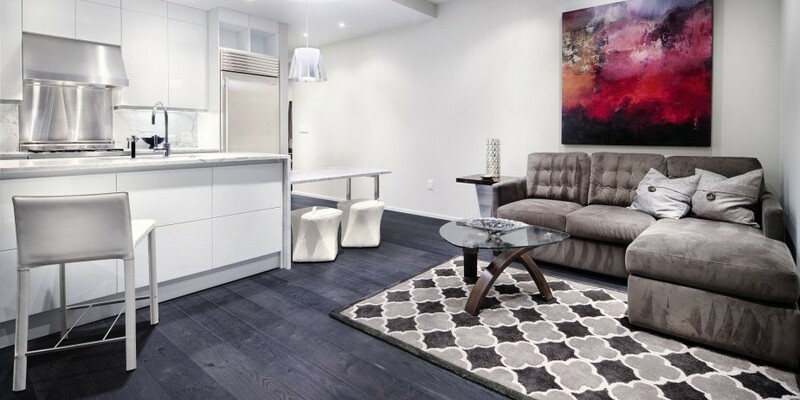 This ultra-contemporary east-facing pied a’ terre provides downtown luxury in the most efficient space in the building. Custom-designed by Greer Interiors and McWolters Collaborative, this home has been completely outfitted with a one-of-a-kind palette. Furniture and accessories by Sandy Senter Design. This one-of-a-kind home is the only one in the building with this floor plan and features a custom Classic Transitional palette by GREER Interior Design. 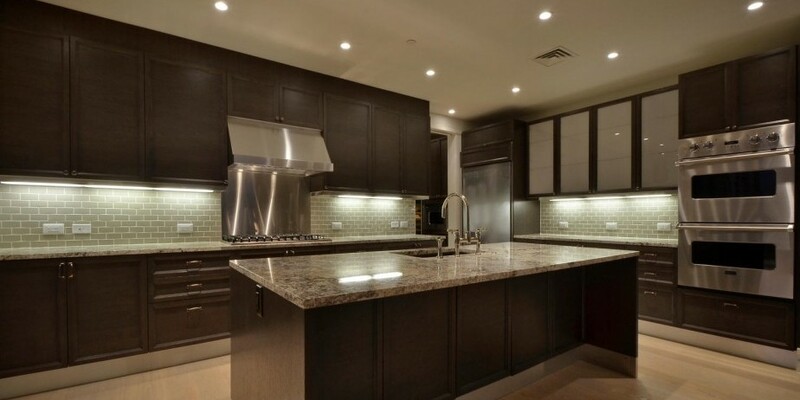 The expansive floor plan features incredible Lady Bird Lake and Hill Country views. Furniture and accessories by Sandy Senter Design. The best pure Lady Bird Lake view in The Austonian. Enjoy incredible morning sun and afternoon shade, views of the lake, the Congress Avenue Bridge, and the beautiful downtown Austin skyline. Each bedroom has a private full bath, and the residence features a spacious study and never-before-seen finishes by GREER Interior Design. Furniture and accessories by Sandy Senter Design. One-of-a-kind floor plan (and finishes) with views of the city, hill country and lake. 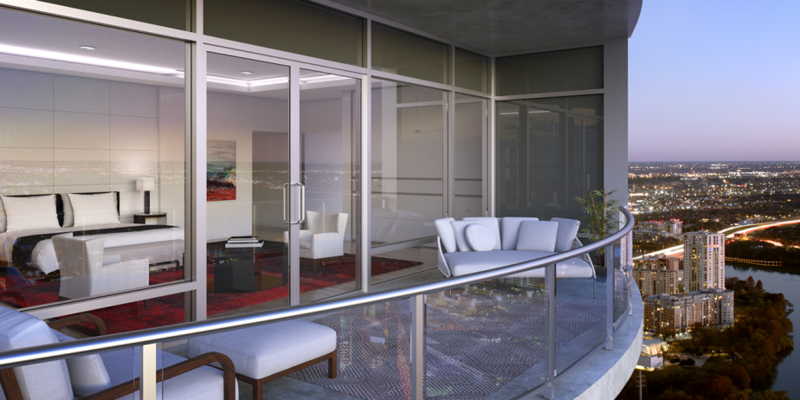 Layout includes two living areas, a 3rd bedroom that could also be a study, and a finish-out that will be unlike anything else in The Austonian. Furniture and accessories by Sandy Senter Design. Have it all in this full-floor Penthouse residence. 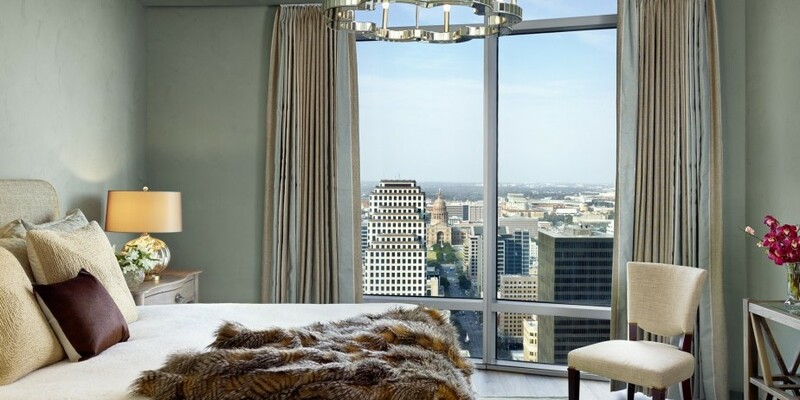 All-encompassing 360 degree views over Austin from your custom Penthouse on the 51st floor of The Austonian. Custom Design floorplan by McWalters Collaborative.